Sara Lien is the owner of Lien Public Relations. She has been a public relations professional since 2007. Lien Public Relations focuses on people and telling stories. Sara’s goal is to get to the main issue of a story and raise awareness of that story. Sara loves to tell stories. She finds people and their experiences fascinating. Sara holds a B.S. in journalism from Stephens College and a Juris Doctorate from Concord Law School. She is a former sportswriter for Real Sports Magazine, Women’s Sports Wire, and Cedar Rapids Gazette. She worked at a research firm in Marion, Iowa as a writer and editor. 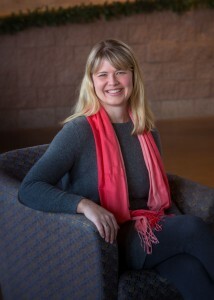 After graduating from Concord Law School, Sara decided to continue her career in communication. She was the Public Relations Director at BRIO publishing in Minneapolis for almost three years. Sara has worked with CBS, CNN, Headline News, and The 700 Club, as well as Minneapolis media such as KARE 11, WCCO, Minneapolis Star Tribune, St. Paul Pioneer Press, and KMSP Fox 9. Sara’s goal is to tell your story. She will listen, promote, and get results. We are not afraid to take risks? 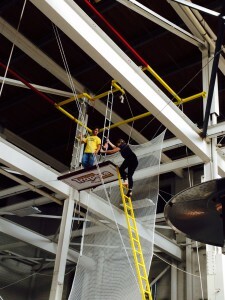 Thank you Twin Cities Trapeze!